A Placement Solutions Nanny/Educator is "more than just a babysitter". A PS Nanny/Educator can be expected to take care of all childcare requirements and child-related domestic requirements, to an exceptional standard. 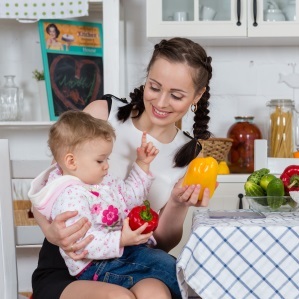 A person who provides pro-active childcare and childcare related household tasks in your home for up to 4 children. Should other household tasks be required this should be discussed fully in the initial stages and taken into consideration regarding the Nanny/Educator's wage. This is applicable in positions such as Nanny/Educator/Household Manager where the Nanny/Educator does full childcare before and after school and Household Management duties in between. Childcare always takes pre-dominance over housework. Note –The Household Management component cannot be claimed for CCS rebates – only the child care component. Casual Nanny/Educators (we don't use the term 'Babysitters'!) - employed on a casual basis only. Their duties are to mind the children in the absence of the parents. They are limited to duties such feeding children, reading to them and settling into bed. Permanent Nanny/Educators - part time or full time - they can live-in /live out or a mixture of both. Placement Solutions Nanny/Educators are trained professionals who work with your family together to raise resilient, responsible children through to adulthood. We believe it's a team effort.